Take exit 114 off Interstate 4 and follow the signs. Go south on 17-92 to Orange City, about 2.5 miles. Make a right onto West French Avenue. Pets are permitted in camping areas, with proof of rabies vaccination. 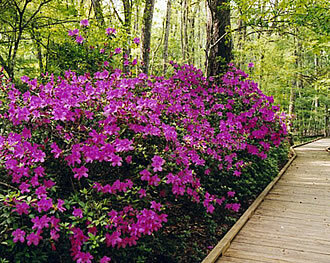 Blue Spring State Park offers six (6), two (2) bedroom cabins. Each cabin is equipped with a gas fireplace (available for use November through March), central heating and air conditioning, bathroom, fully equipped kitchen (stove and refrigerator), screened in porch, outdoor grill and picnic table. Linen, pillows, blankets and towels, cooking and eating utensils are also provided. You will need to bring personal use items such as soap, salt, pepper, radio, paper towels, etc. (Linen is NOT furnished on a daily basis). In each cabin, one bedroom is furnished with a double bed, while the second bedroom contains a double bed and a set of bunk beds. Sorry, no pets are allowed in the cabins. One vehicle per cabin is permitted. All additional vehicles will be charged an additional fee of $3.00 per night and will be required to park in a designated area. 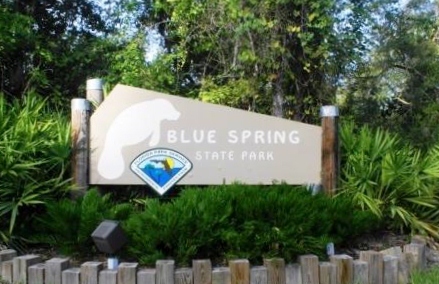 Blue Spring State Park has 51 campsites, which are located in the sand pine scrub. Available to each site is a table, water, electricity, and a grill. There is no sewage facilities at these sites, but there is a dump station in the Park. Pets are permitted in camping area, with proof of rabies vaccination. You are invited to canoe beautiful Blue Spring Run and the St Johns River. Canoes may be rented at the Park Concession. 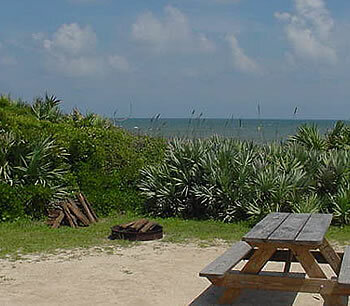 For more information, costs, and reservations call (386) 775-6888. St Johns River Cruises offers a two hour narrated nature and ecological cruise on the beautiful and historic St. Johns River. Cruises depart daily at 10 a.m. and 1 p.m. For more information, costs, and reservations call (386)917-0724. From the accessible fishing pier, anglers will find an abundance of bluegills and blue cats, in addition to largemouth bass, shellcrackers and speckled perch. A Florida freshwater fishing license is required for persons age 16 years and older. A concession stand offers snacks, camping supplies and limited groceries. Canoe rentals are available. 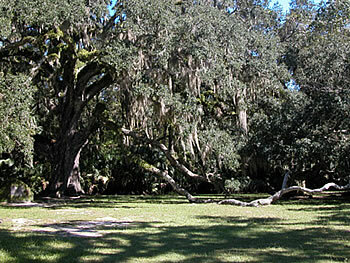 The same pristine beauty enjoyed by Florida's earliest residents still can be seen today. 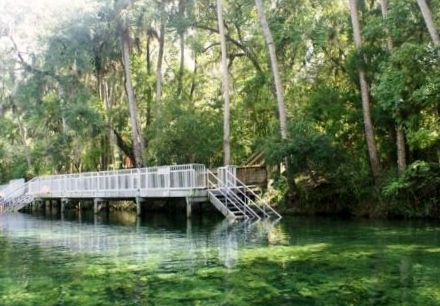 A self-guided boardwalk guides visitors through a lush hammock to Blue Spring. Blue Spring State Park offers two separate picnic areas throughout the park. There are covered pavilions with grills located at these areas for larger groups. 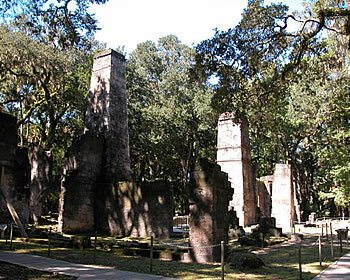 One of these areas also has a large covered barbecue pit, and can be reserved, for a fee, from October through March. Contact the park office for details. 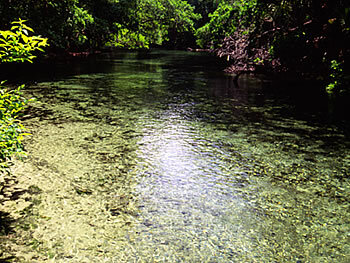 Blue Spring offers swimming and scuba-diving in a crystal clear, 72 degree spring run. Scuba- divers must register at the entrance station between the hours of 8 AM. and 3PM, with an up-to-date certification card and a partner. Swimming or diving with the manatees is NOT permitted. Reservations for campsites may be made up to 11 months in advance.